As the 2018 season quickly approached, the Renfrew Minor Baseball association was knee-deep in organizational restructuring and looking for a better way to share information about the league with players, parents, volunteers and sponsors. Relying solely on Facebook and Twitter in the past, RMB needed a better communication solution, but had limited funds to make it happen. 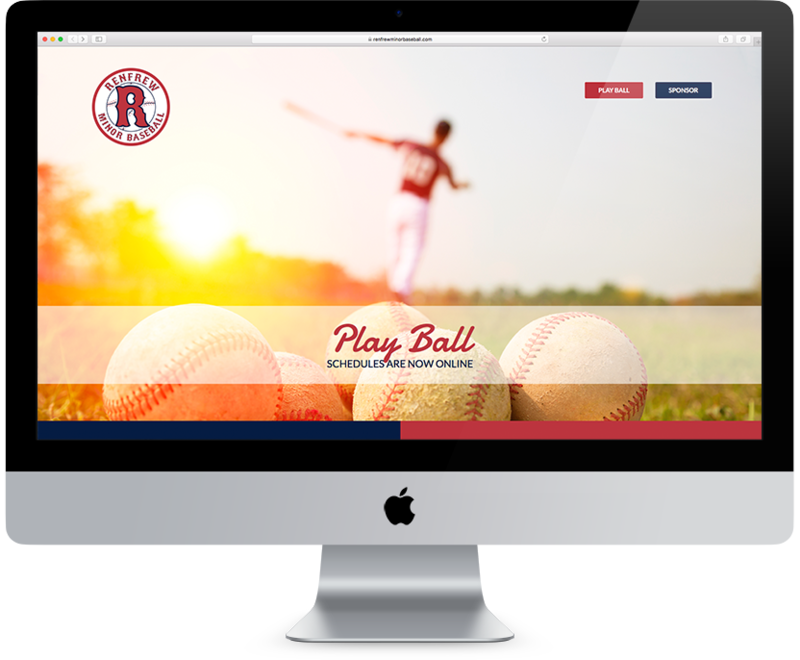 Sociation offered to build a new website for the association for no cost – our way to give back to the Valley and the game we love! We designed and developed a completely new, custom website built in WordPress that is fully responsive. 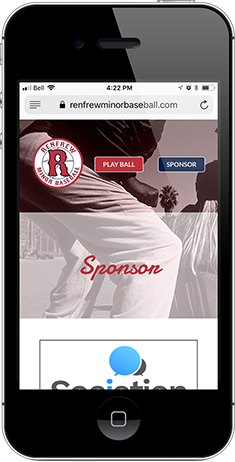 The new website features a simple navigation structure, streamlined user experience, Twitter feed for automatically publishing game updates, an area for league information, a sponsor module and a user-friendly content management system for the backend. All designed, tested and delivered to start the 2018 season! Volunteer directors now have access to all the elements on the website and control over sharing and updating content. For more information about their experience or how Sociation can help you, please contact us.